The Chron makes its choice in the District K special election. Larry Blackmon, 68, has spent decades serving on various boards and advisory committees under the leadership of three Houston mayors. Martha Castex-Tatum, 48, is the director of constituent services in the late Councilman Green’s office. Carl David Evans, 63, works for an accounting firm and serves as the president of a super neighborhood group. Pat Frazier, 58, is a politically active educator who ran for this office in 2011 and served on Mayor Sylvester Turner’s transition team. Anthony Freddie, 55, spent almost 30 years working in municipal government, including stints as an assistant to Mayor Lee Brown’s chief of staff and chairman of the Super Neighborhood Alliance committee. Elisabeth Johnson, 32, is a Texas Southern University graduate student who’s about to graduate with a master’s degree in public administration. Gerry Vander-Lyn, 68, is an accounting firm records management worker who’s been involved in Republican politics for at least 50 years. Two candidates didn’t meet with the editorial board. Lawrence McGaffie, 30, is a disabled Army veteran who founded a nonprofit encouraging young people in low-income neighborhoods to become community leaders. Aisha Savoy, 40, works in the city’s floodplain management office. Castex-Tatum and Frazier are the stand-out candidates. Both of them have deep roots in the area, and they’re passionately familiar with the district. But Castex-Tatum’s breadth of experience makes her the better candidate for City Council. As a top level aide to Green, Castex-Tatum can hit the ground running. Nobody will need to brief her on any of the arcane issues and myriad capital improvement projects Green worked on until his untimely death. Unlike any of the other candidates in this race, she already commands a detailed knowledge not only of what’s happening in the district but also what city government is doing about it. For example, while other candidates offered our editorial board only vague notions about tackling flooding problems, Castex-Tatum specifically cited how improvements to a parking lot in the district made it more permeable for soaking up floodwaters. What’s more, Castex-Tatum will bring to the council table a unique credential: She’s already served on a city council. 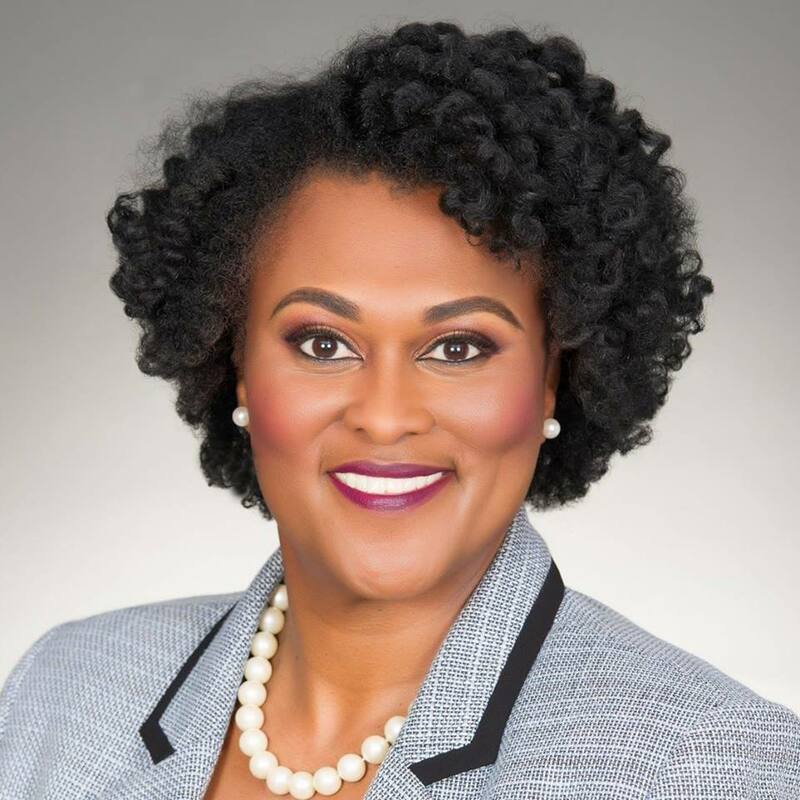 She not only earned a master’s degree in public administration at Texas State University in San Marcos, she also unseated a 12-year incumbent to become the first African-American woman elected to the San Marcos City Council. Early voting begins today. This feels like a single-digit-turnout kind of race, which means that if you live in the district your vote really counts. Don’t miss your chance to make it. Larry Blackmon was a candidate for At Large #4 in 2015. This Chron story from that race lists him as a retired educator and community activist. Martha Castex Tatum has been the Director of Constituent Services under the late CM Larry Green since 2015. She lived in San Marcos early in her career and wound up being elected to serve on their City Council, the first African-American woman to do so. 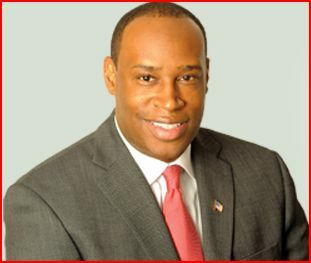 Carl David Evans is a CPA and has served twice as President of the Fort Bend Houston Super Neighborhood Council 41. 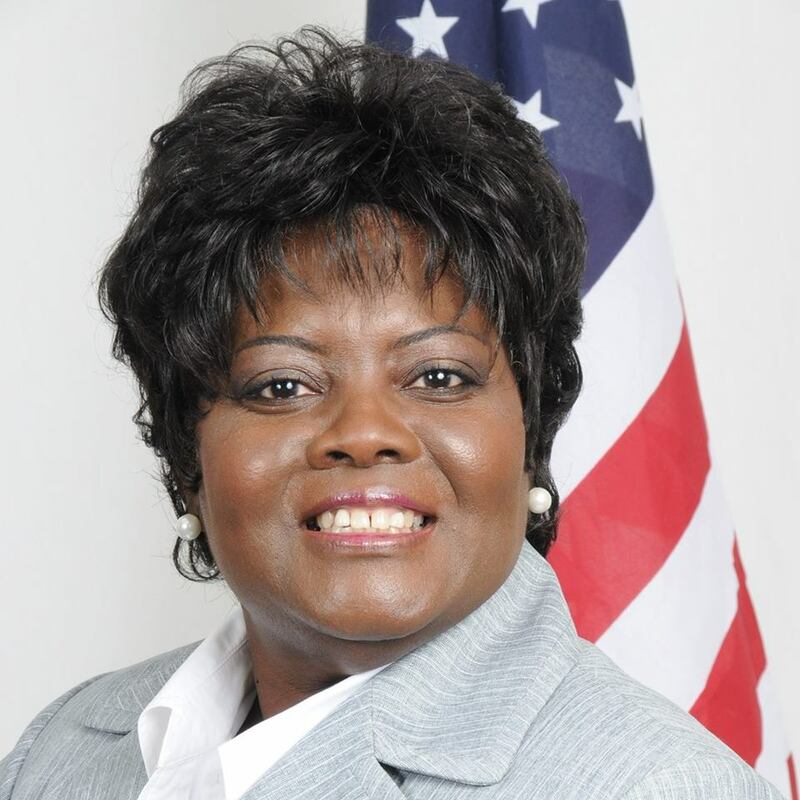 Pat Frazier is an educator and community activist who ran for District K in 2011. She also served on Mayor Turner’s transition team. Anthony Freddie doesn’t appear to have a campaign Facebook page yet, and there’s no biographical information on his personal page that I can see. There is a post on his Facebook page that shows him attending the SD13 meeting from this past weekend. Elisabeth E. Johnson – announcement here – owns an event planning business and was a field organizer for the Bill White gubernatorial campaign in 2010. Lawrence McGaffie, Aisha Savoy, and Gerry Vander-Lyn have limited information that I can find. However, this Chron story tells us a few things. Aisha Savoy, meanwhile, is a first-time candidate who works in the city’s flood plain management office. She touted her disaster recovery work and said she would focus on economic development, environmental protection and public safety. “Everybody has a right to feel safe,” said Savoy, 40. Former city employee Anthony Freddie, 55, spoke to youth empowerment, public safety and road upgrades. “What I’d like to do is definitely focus on the infrastructure,” Freddie said. Lawrence McGaffie, a 30-year-old disabled veteran, said he is running in part to encourage young people to take on leadership roles. “My whole goal is to get the young people involved, to inspire them to make a change where they are, in their classrooms, in their homes, in their communities, wherever they are, to be that leader,” McGaffie said. There’s more on the other contenders as well. I’m going to try to interview everyone, but this is going to be another insane rush towards election day. Early voting will begin on April 23, so it will be a challenge for all to get themselves out there in front of the voters. For sure there will be a runoff. If you know anything about one or more of these folks, please leave a comment. Thanks. In a late night Facebook Live video, prominent Houston activist Ashton P. Woods bowed out of the race to replace former City Councilman Larry Green who passed unexpectedly in early March. Woods says he will back a Black woman for the post since he believes there should be another Black woman on City Council. Woods, founder of Black Lives Matter-Houston, says he still plans for an at-large seat in 2019. Rumblings of candidates aiming to fill the southwest-Houston district filled rumor mills with long-time Democratic operative Pat Frazier and Larry Blackmon announcing runs so far. Frazier has a campaign Facebook page; I heard about her candidacy via Erik Manning on Facebook on Monday. She had been a candidate for K in 2011, finishing with 24.88% of the vote against Green and a third person. Blackmon was a candidate for At Large #4 in 2015 – he still has a Facebook page from that campaign, which maybe he’ll repurpose. He also threw his hat in for the precinct chair-selected nomination in HD146 in 2016. Council has now officially set the election for May 5, with a filing deadline of Monday the 26th. I have to assume we will hear from more candidates by then. UPDATE: Here’s a press release for Martha Castex-Tatum, who is also in for K.
Following up on yesterday’s report, here are the interesting, odd, and questionable things I’ve seen in the rest of the 30 day campaign finance reports. Mayor Parker raised $469K, spent $526K, and maintained $2.3 million on hand. She appears to be gearing up to start airing ads – I saw two expenditures totaling nearly $49K to Storefront Political Media, plus a few more totaling about $52K to Rindy Miller, all for “advertising”. She also spent $41K on two separate transactions to Lake Research for polling. Fernando Herrera initially had a report that did not list totals. That report has since disappeared from the city of Houston site and has been replaced by this report, which shows he raised $31K and spent $23K. By my count in that first report, he raised $6107 for the period and spent an amount that I didn’t take the time to add up but which definitely exceeded that – he paid $3000 to Phil Owens for consulting, and a shade over $4000 to Print-O-Rama for signs, just for starters. I presume that first report was uploaded prematurely, and that I just happened to check the city’s site during the time it was there. Hatemonger/vanity Mayoral candidate Dave Wilson loaned himself $35,000, contributed another $5,000 to his campaign, and credited himself with a $400 in kind donation for an advertising expense. What he hopes to accomplish with any of that, I have no idea. CM Jolanda Jones raised less than either of her opponents, taking in $21K. However, thanks to her strong July report, she still has $83K on hand. CM Mike Sullivan, who is apparently going to run for Tax Assessor in the 2012 GOP primary, has $71K on hand and no opponent in this race. He’s free to bank up what he can for next March. Also with a healthy balance is CM Wanda Adams, with $80K in the bank. I have no idea what if any future political plans she may have, but for what it’s worth, this would be her last term. Jenifer Pool listed her total contributions ($31,350) and expenditures ($29,246), but did not list her contribution balance. Pat Frazier was a late filer in District K, but did not indicate what office she sought on her report. She also did not list contribution or expenditure totals, though the amount she indicated for her contribution balance ($5,416.66) matched the sum of her contributions by my calculation. She had $15K in loans and by my calculation she spent $10,082.73, so adding her loan to $4,350 (her contribution total minus in kind donations) and subtracting the expenditures, she should have listed $9,267.27 on hand. Greg has more on the city races, and School Zone has HISD finance reports. Before you ask, the answer is no, I am not going to put in another open records request for HCC finance reports. Hell, by the time I got them the 8 day reports would be out. You can also visit Erik Vidor’s spreadsheet for running totals on city races. I will continue to watch for late filings and will report on them when I see them.